Get the most out of your trip to the Smokies when you stay in a cozy cabin rental. 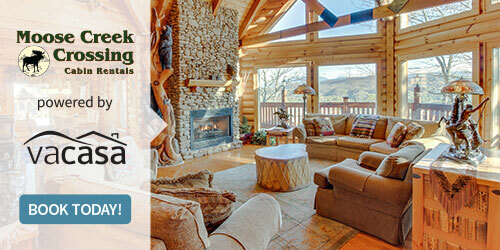 Moose Creek Crossing and Vacasa Tennessee LLC are excited to offer a year-round 15% discount to all returning guests. Active military families are eligible to save 10% on their reservation. Call today to secure your discount and start planning your getaway!